We want to take this opportunity to thank Neiman Marcus for hosting our first fundraising event. The March 12, 2014 luncheon raised more than $5,000 to help the children of House of Hope in northwest Haiti. 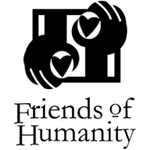 It was a great launch for Friends of Humanity 4 Haiti and an opportunity to gather with friends who share the conviction that the world can change, one child at a time. Thank you for being part of our mission to make a difference. Your support makes it possible to bring change to northwest Haiti. A special thank to Winston Delawar and the incredible team at Suzanne Delawar Studios for donating the event photography. (You can see examples of their sought after bridal photography work here ) So many wonderful friends joined us for a delicious luncheon and fashion show at Neiman Marcus, Coral Gables (see more of the photographs here). Who doesn’t love a fantastic gift bag with lovely luxuries! Melinda Cowen glams it up after winning the fabulous Fendi clutch donation by Neiman Marcus, Coral Gables. The lovely Norma Jean Abraham (left) tempts Kathleen Monahan with the famous Neiman Marcus cookies! FOH Board members and special supporters (front left to right) Benefactor Connie Cioffi, board member Mary Newman, (back left to right) Renel Noel, Randi Trazenfeld, Alice Burch, Kathleen Monahan, and Silvana Marmolejos.